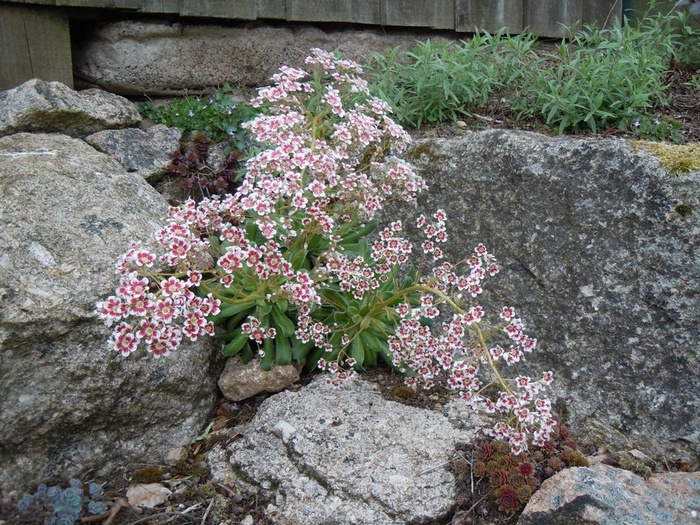 An encrusted saxifrage with spectacular sprays of flowers in late Spring. White flowers with a red blotch are held in clusters on stems up to 30cm long above rosettes of hard silvery leaves. Best grown in a sunny, well-drained position. 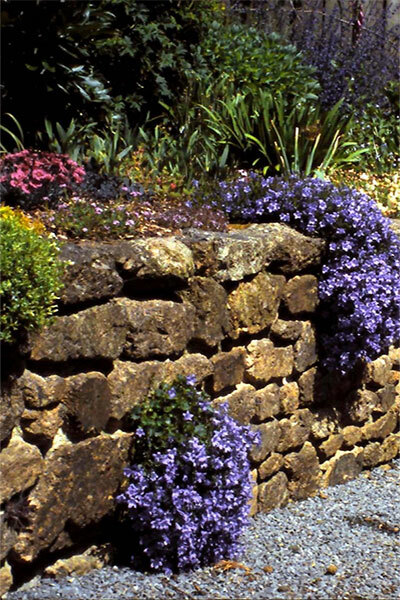 Ideal for walls, rockeries or pots where the flowers can cascade down but also good as edging or at the front of the border.